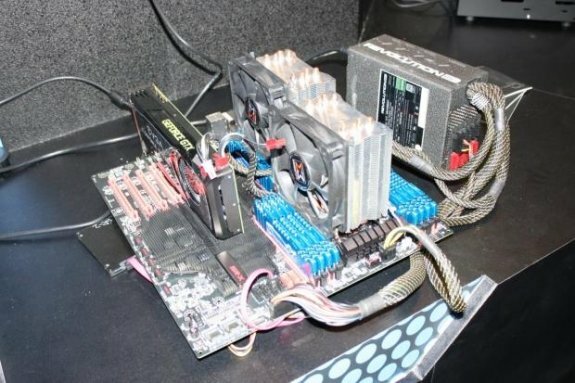 TweakTown spotted a 96GB DDR3 memory kit at G.Skill's Computex booth. The specifications aren't too exciting though, only 1600MHz with 11-11-11-28 timings at 1.5V. While on the speed front the kit doesn't sit the highest coming in at only 1600MHz DDR and a 11-11-11-28 at 1.5v setup, the sheer amount of memory and cores present on the system was enough to grab our attention.